Expert home staging is a surefire approach utilized to sell a home. Some advantages to home staging include fewer days on the market and more offers. And you should definitely try professional home staging if you need a quick home sale. Home staging is part of preparing your home for sale. Staging focuses on your home's presentation to buyers while highlighting the features of your home with thoughtfully placed furniture and pictures so that your home feels more open and buyers can imagine their lives in your home. Begin with the exterior of your home, also called your curb appeal. Look at the outside of your home from a quick glance from the street. What jumps out at you? What wonderful features seem to fade into the background? Understanding this helps us decide what plan of action we can use to attract buyers from the street and into your home. If your home isn't pretty on the outside with touched up paint and colorful greenery it's time to get those things done. 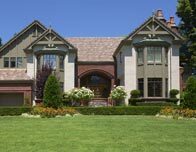 Refer to the Curb Appeal Checklist and elevate your home's final selling price. Could a buyer picture themselves lounging in your living area, unwinding in your master bedroom or inviting family and friends over for a dinner in your eat-in kitchen? I want your home to welcome buyers and offer them a sense of easy living. I'll help you do this by recommending changes that enhance your home's features. I'll tell you remove anything that gives the look of clutter. Counter tops should be free and clear. Sculptures, sentimental items, family photos, and kids' artwork should get stored away too. I can help you simplify the decor of house. Cluttered or messy spaces make your home look less spacious and buyers have a harder time imagining themselves living there. I'll review every room of your home. I'll point out the pieces of furniture that should be rearranged, rooms that need a fresh coat of paint, carpet that needs to be cleaned or replaced, fixtures that need polishing, and any other improvement that can inexpensively be made to positively affect the sale. I'll make sure that your house is neutral and that it's welcoming, steering clear of "loud" or "personalized" hues on the walls and furniture. And if the house is vacant, you can consider temporary furnishings. The goal is for your house to look inviting as opposed to deserted. You'll know when to show your home, because all of the changes come together to paint a picture of what buyers will expect after they close on your house. Dark rooms can really dampen a buyer's spirits, so we'll do things like open curtains and add lighting where needed to show off your home. Together we'll enhance the air of the house with enjoyable music to listen to while guests experience your home and ensure a pleasing scent flows room-to-room. We'll include cozy-looking bedspreads, and throw pillows on your chairs and bedding. We want buyers to experience your home's potential. If you'd like to know the details of home staging to sell your house quickly, contact me and I'll clue you in to the fastest ways to sell your house.